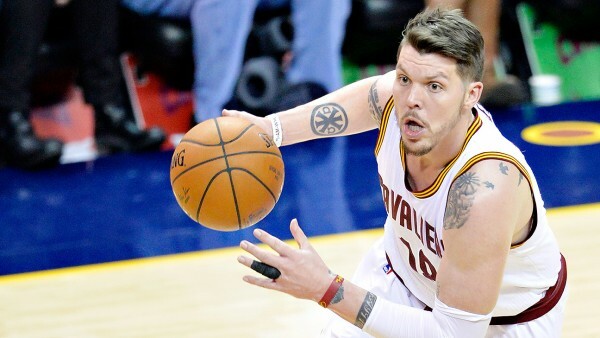 Joining the Portland Trail Blazers doesn’t mean Mike Miller will stay with them for long. If he is indeed bought out as it’s expected he’ll be, there will be quite a few teams trying to sign him, including the Memphis Grizzlies, Oklahoma City Thunder and Dallas Mavericks. Miller was traded along with Brendan Haywood from the Cleveland Cavaliers to the Portland Trail Blazers for trade exceptions and mostly some tax relief. Miller had a player option of $2.8 million heading into this season, but had a trade kicker worth $430,000, which means he’ll be closer to $3.5 million in salary. But he’s not going to play for the Blazers it’s assumed. Portland will buy him out and he’ll sign a veteran’s minimum with someone. Who? When Miller was amnestied by the Heat in 2013, quite a few teams went after him. The Mavericks and Thunder were also part of the suitors group, but Miller preferred signing with the team he spent quite a few seasons with back in the mid 00’s, the Memphis Grizzlies. It won’t be surprising to see him join them once more, doing quite well for Memphis in 2013-2014. He stayed healthy the entire season (playing 82 games!!!) and averaging 7.1 points in 20 minutes. Last season for the Cavaliers he went back to battling injuries in about every place on his body. He averaged 2.1 points in 13.5 minutes, playing 52 games. He didn’t expect to get more minutes this season, and so despite exercising his player option, everyone knew a trade was coming. So where does Miller go? It’s less about the title contention chances or his role, which won’t be big anyway. Maybe it’ll be about familiarity with players, which means Memphis once again are favorites to land him, or possibly the challenge of a new place. If winning is on his mind, trying it out with the Oklahoma City Thunder sounds better than playing for Dallas, although he might get more minutes under Rick Carlisle.